The time of summer festivals was here again. With Flevo festival and all its descendants gone this year it was empty in the Dutch ‘Christian’ summer festival season. Luckily we can depend on yet another year of Freakstock in Germany not far over the border. For us the fifth time we attend. Yet again this year brings a great line-up with music, art, seminars and more. Freakstock always feels like coming home. It has been a little over two months since Borknagar toured Europe together with four other bands, including In Vain. They did not have a concert in the Netherlands unfortunately. They did however perform just across the border in Oberhausen, Germany. When I arrived, it took me a while to get used to club Helvete. It looks like a large English pub that is transformed into a metal café rather than the typical music venues one sees in the Netherlands. The stage is rather small, but that comes with the advantage that you can get so close to the band members that you can almost touch them. After years without receiving concerts with large scale bands of the underground level, the city of Campos dos Goytacazes/Rio de Janeiro receive’s on a rainy Saturday 3 of the most popular Christian Brazilian. Since the beginning of the day, it is raining over our heads, and because this a delay happen, but nothing exaggerated, nearly 35 minutes. The first band to play are a native band, called Metal Alpha, that plays a mix of the modern genres of Metal and put the crowd to jump with their songs especially with their best song called “Revolução”. 31 July 2013 and it was time again for this year’s edition of Freakstock a festival organized by the German JesusFreaks and held in Borgentreich Germany. 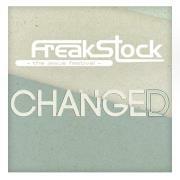 Freakstock started in 1995 and was held in Wiesbaden but since 2009 in some old barracks in Borgentreich. The festival presents many varieties of music, workshops and seminars. But the festival has more activities to offer including a soccer competition, tattoo artist, different shops, art exhibition and more. When we arrived I saw a sign with the text ‘Welcome Home’ and I have to agree Freakstock always feels like home.